Charles Kennedy joined Carnegie Mellon University's Investment Office in 2007 and was promoted to lead the investment program in 2010. 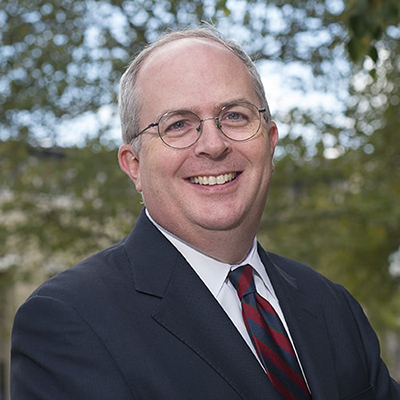 As Chief Investment Officer, Kennedy leads the efforts in the management of the university's long-term financial resources, most significantly, gifts made to the university that comprise the endowment. Given the endowment's importance in enabling the university to achieve its research and education mission, the Investment Office's mission is to grow and protect this impactful financial resource. Kennedy has worked with the investment team to develop all facets of the university's investment program, including its shift to a more global, private investment-centered portfolio. While Chief Investment Officer, Kennedy has served Carnegie Mellon in additional capacities, including as Interim Treasurer and as chairman for a number of CMU spinout companies. Kennedy is a frequent guest lecturer at The Tepper School of Business, where he had the opportunity to teach "Venture Capital and Private Equity." Immediately prior to joining Carnegie Mellon, Kennedy served as a member of the Finance faculty at the University of Pittsburgh Katz Graduate School of Business, where he received the MBA "Teacher of the Year" award his last year. Kennedy began his career in corporate finance and investment banking. During this time, Kennedy worked with leading venture capital and private equity firms, underwriting many of the country's top performing IPOs and advising management teams and boards on various types of transactions. Kennedy received a BS from Duquesne University and earned an MBA from Harvard Business School.